Manténgase conectado con sus médicos y acceda a sus expedientes médicos, en cualquier momento, en cualquier lugar. Treatment for common health issues like rashes, allergies or infections from the comfort of your couch. Convenient family care for everyone 18 months and older. 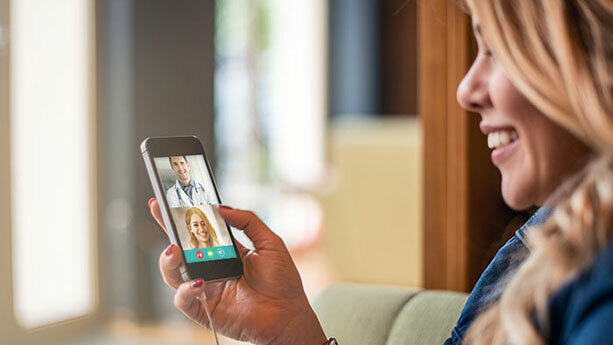 Learn more about video visits. March 30 is National Doctors' Day. We invite you to make a gift in honor of a doctor or caregiver who has made an impact on your life. Your gift is an investment — one that will help ensure that our patients have access to state-of-the-art technology and facilities. Download the My Health Online mobile app available at the Apple App Store and Google Play. Stay connected with your doctors and access your medical records.